I hate to be a negative nancy, but I absolutely hate when I get my hands on a product that’s super hyped up only to find that it doesn’t live up to my expectations. Whether you’ve only heard great things about it, or you’ve just been waiting forever for it to be released, it’s never a good feeling to bring a product home and have it let you down. In recent memory, here are a few products that I just couldn’t get on board with, despite the excitement. I secretly tested the Morphe x Jaclyn Hill The Vault Dark Magic Palette is last week without really posting about it, and it ended up being pretty dang awful. I needed the store credit ASAP in order to buy something else for an upcoming video, so I returned it the same day without doing any type of review and without taking photos. When I saw this $15 palette in the store, I thought it was so gorgeous and included shades that I didn’t see other brands putting together. 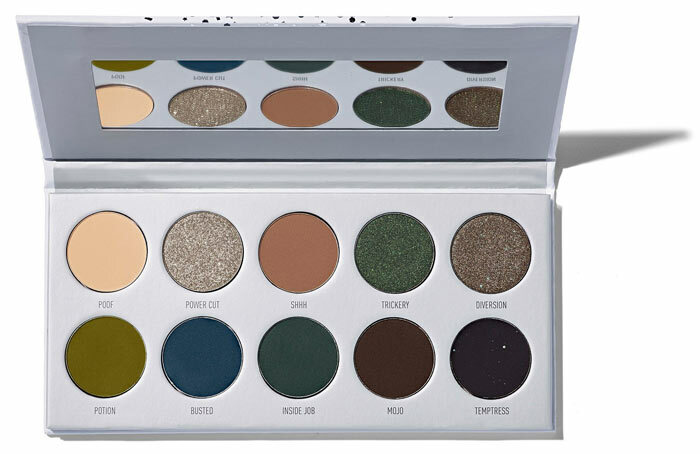 I definitely wanted an opportunity to play with the rich greens and blues, so I picked it up without knowing about any of the “tea” surrounding this collection. Well apparently there is a lot of quality inconsistencies between palettes that come straight from Morphe and the ones purchased through Ulta Beauty, where I picked mine up. Boy, was the quality terrible. The matte shadows were powdery, applied patchy and incredibly hard to blend. The shimmers performed better, but the color didn’t quite translate on the skin how they looked in the pan. I’ve heard through the grapevine that out of the four palettes in this collection, Dark Magic was probably the worst performing so just my luck, but I’m not interested in spending any more trying to figure out if the other ones are any better. 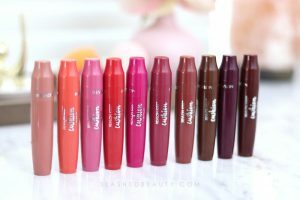 I’ve shared a lot of great cheap finds from Shop Miss A so far, but unfortunately the AOA Wonder Matte Liquid Lipsticks were just not my cup of tea. Even though they are really pigmented with some gorgeous shades, I just can’t get down with the formula. It’s an uncomfortable matte that makes my lips look wrinkly, and most of the shades I’ve tried apply a bit patchy. I’d say they’re good for $1, but I still don’t want to wear them. 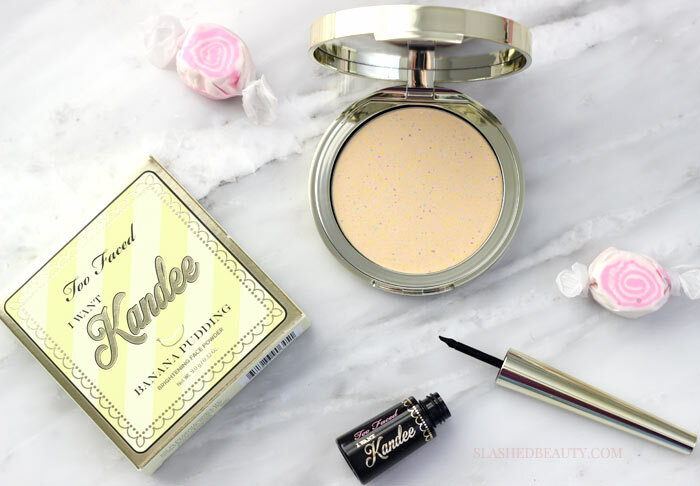 This product was part of a limited edition line with MUA YouTuber Kandee Johnson that I reviewed here. However, they just released the new It’s Bananas Brightening Setting Powder as part of their Tutti Frutti collection and I have my suspicions that they might be similar. The original made my skin look super dry, no matter what kind of foundation it was on top of. It also accentuated fine lines that I definitely shouldn’t be able to see at 25 years old! Have there been any makeup products lately that let you down? Let me know in the comments! And now for the best blog posts of the week from The Lipstick League. Blushing Noir – Fall is the best time for new makeup, especially for eyes! 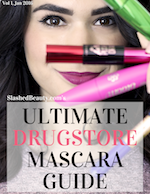 Check out some of my Fall drugstore beauty favorites from Maybelline. My Beauty Bunny – knows why your acne is not going away despite that crazy expensive skincare regimen you’ve been using. Click through for 15+ Urban Decay Aphrodisiac Palette Tutorials and Looks for Inspiration. They’re perfect for Fall! Slashed Beauty – Ready to rock some braided hairstyles for fall? Watch this hair tutorial for four braided hairstyles to try out this season. we heart this – We all know Probiotics are good for your insides. But did you know they’re good for your outside too? Meet Tula Skincare. Beautygeeks – has all the details on Shellac Luxe, CND’s newest UV polish that needs no base coat and soaks off in an easy, speedy 60 seconds. Blushing Noir is Currently Craving: The Benefit Brow Contour Pro. I have a lot of sparse areas in my brows and I think a product like this with 2 brow shades plus a definer and highlighter is exactly what I’ve been looking for my whole adult life.